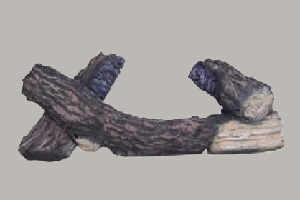 The Meridian requires a minimum fireplace opening of 28" wide X 24" high. 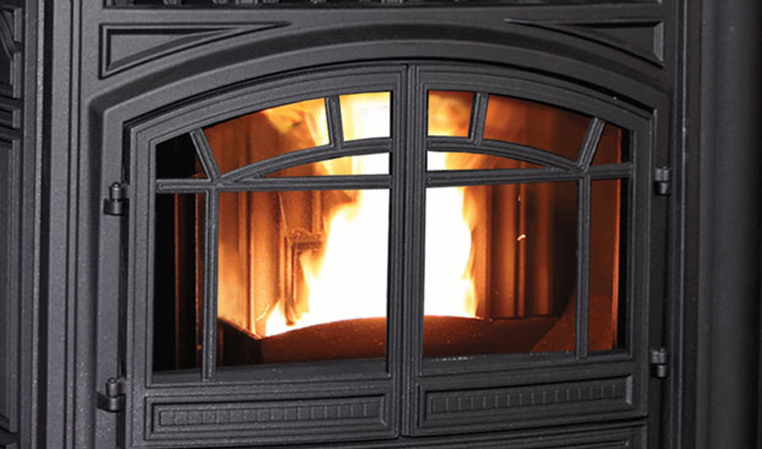 Heat output is capable of heating up to 2,500 sq. ft.
Click or touch pictures for larger view. Pictured above with painted & porcelain finishes. • High-efficiency pellet insert, EPA exempt. 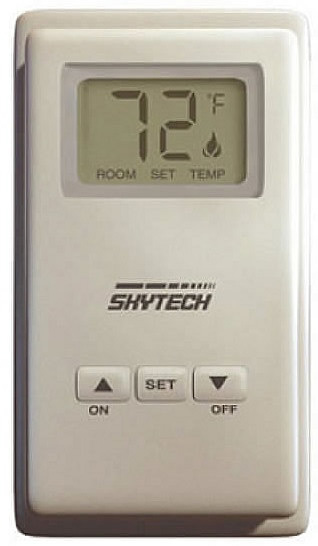 • Includes Wired Wall Mount Thermostat. 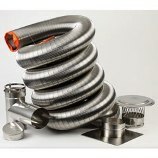 • Venting: requires Flex Flue kit. • Hopper capacity: 55 lbs. • Color : Black or porcelain available. 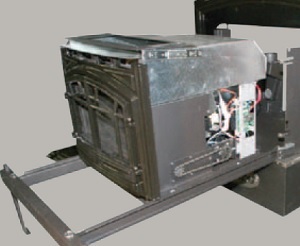 Pictured above in painted black finish. 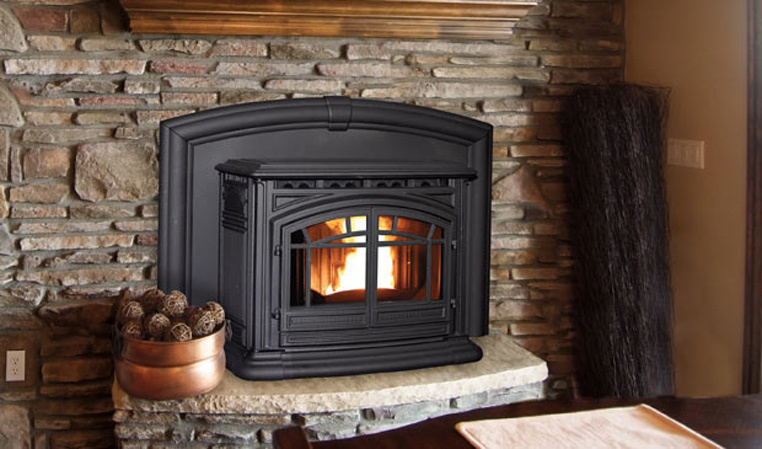 M55Ci Cast Pellet Burning Insert - painted black finish. 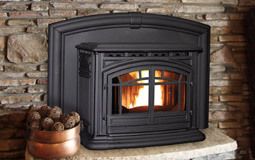 M55Ci Cast Pellet Burning Insert - Chestnut Porcelain finish. 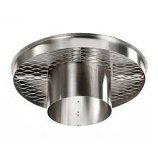 4" vent required for tall chimneys and high elevations.